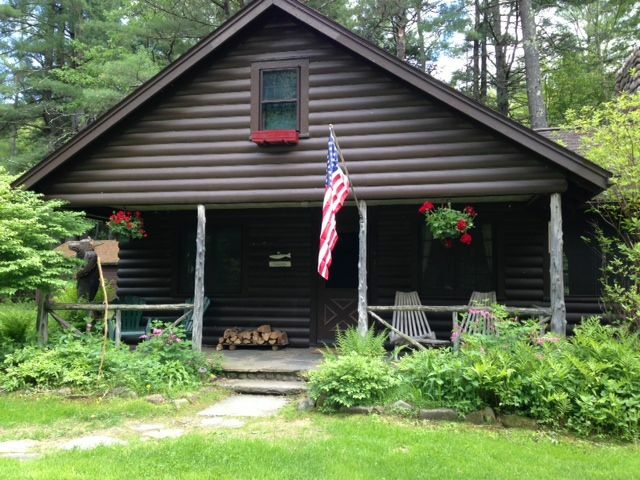 This charming log-sided cabin is nestled in a quiet valley on 15 acres of woods and meadows with 900 ft frontage on the East Branch of the Neversink River. Enjoy its 2+ bedrooms, 1 bath, living room with a fireplace/woodstove, dining room and fully-equipped kitchen. Ski Information:: Closest downhill ski area is Belleayre. This ski area is a 40 minute ride from the cabin, over a road that is impassable in a snow storm. Please note: Because the cabin is located in a remote area of the Catskill Mtns, there is no cell service. We have wifi (which allows iphones to receive and send texts) a land-line and cable television. Excellent Escape From the Suburbs! Mary's cabin was a great oasis for us. Being able to hear the rapids of the river is incredibly relaxing. The cabin itself has EVERYTHING you could need for cooking and overall comfort, making packing for a longer getaway much easier. From candles and oil lamps to grilling utensils and fire wood, Mary's cabin has it all right there ready for you to enjoy! Mary as a host is very responsive and helpful. Would love to revisit! Thank you for a great getaway!! Fantastic! Grade A cabin with everything you need. Will be back in warm weather. The perfect mountain getaway year after year! We love coming back to this private cabin in the scenic Catskills each year, and it always greets us with warm memories and fun making new ones! This is our Narnia, our never never land, our fantasy island away from the hassles of the real world! Everything is just as we remember which is peaceful scenery, idyllic seclusion, endless hiking trails, and a refuge stocked with everything we could need! As soon as we pull out the driveway we’re longing to come back next year! We had a wonderful, cozy and warm weekend with our 2 little doggies at this cute cabin in the woods. We still had snow on the ground so we didn’t do any exploring but would love to return in the summertime to enjoy the property more. Our hostess was so helpful with all of our questions and made us feel very welcome. Cozy cabin with comforts of home. Fireplace made the stay warming and romantic. The cabin was easy to access from the road. The snow gave the area a wintry feeling. The sound of the running water of the creek behind the house sounded heavenly and relaxing. To bad I did not have my rod and reel. We had a lovely experience at this charming cabin. We thank Mary for a wonderful stay at her cabin which is both beautiful and pragmatic. We especially enjoyed the fireplace. Less than 5 miles to NYS/DEC. Hiking trails (Slide Mountain & Red Hill Fire Tower), 10 miles to Frost Valley YMCA. Hike, fish, hunt, cross country ski on property or close by. ALL RATES ARE FOR UP TO 6 people- Children under 18 yrs FREE-Contact me for details!